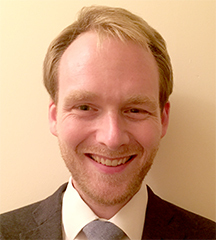 James O’Brien is VSO International’s Volunteering for Development Leadership Advisor, and Country Representative for VSO Ireland. His work focuses on building and communicating the case for volunteering in achieving the Sustainable Development Goals. He has served as chair of the Post-2015 Volunteering Working Group and coordinator of the Volunteer Groups Alliance. In 2016, O’Brien volunteered with VSO in Rwanda and Uganda.